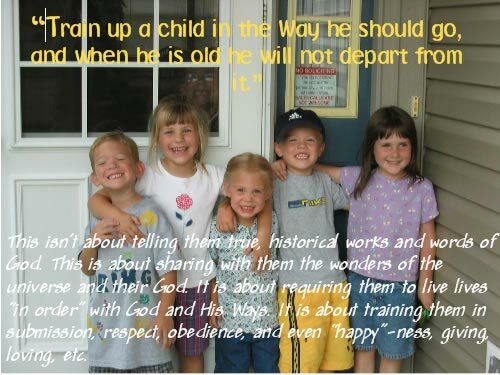 "Train up a child in the way he should go, and when he is old he will not depart from it." This isn't about telling them true, historical works and words of God. This is about sharing with them the wonders of the universe and their God. It is about requiring them to live lives "in order" with God and His Ways. It is about training them in submission, respect, obedience, and even "happy"-ness, giving, loving, etc.